Last year, the AAE Foundation for Endodontics launched an Outreach Program in Treasure Beach, Jamaica. The program is designed to provide endodontic care to patients in underserved communities. Although The Helping Hands dental clinic in Treasure Beach has been helping patients for over 15 years, last year was the first time that endodontists were on site to save teeth that might otherwise be extracted. Each mission is staffed by an endodontist mentor and two residents, who work with Drs. William Griffin and James Carney, the founders of the clinic. A few months ago, I was offered the opportunity to travel to Treasure Beach, Jamaica, as the endodontic mentor for the March 2017 Outreach Program. Although during dental school I participated in an outreach mission to the Dominic Republic, this mission would be more difficult, as I would leave behind a husband and toddler. 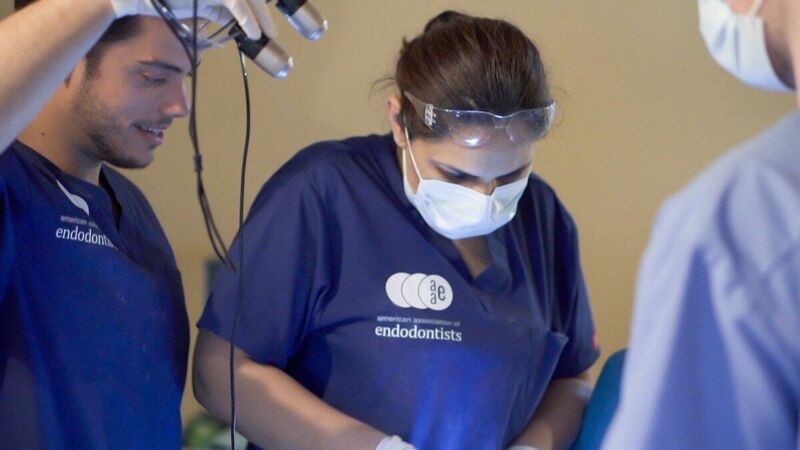 Ultimately, I accepted this mission to educate patients about the importance of saving teeth and to improve the lives of patients that normally don’t have access to endodontic care. During our mission in Treasure Beach, hundreds of patients waited for hours, and sometimes days for dental treatment. Some traveled over four hours to get there. It was rewarding to know that we were able to perform root canal therapy, eliminate pain, and give patients the confidence to smile. It was an honor to work beside Dr. James Carney, two endodontic residents, Drs. Juheon Seung and Eduardo Andres, and dozens of wonderful dentists and dental students. The clinic was held in a functional church, so the equipment had to be put up every morning and taken down every evening. The days were incredibly long and hot, the conditions challenging. There were times when equipment broke and electricity faltered, making us nervous we wouldn’t be able to continue. Through all of these obstacles, we persevered by working together. During the four days in our clinic, the entire team treated 381 patient, completed 333 extractions, 155 fillings, 84 cleanings and 42 root canals. Although I have been in practice for approximately 10 years, as well as serving as an instructor at Harvard Dental School, my clinical background could never have prepared me for this journey. I returned from the mission awed and inspired by all of the work we accomplished and the gratitude of the patients we treated. Special thanks to Seiler Precision Microscopes for donating one of their microscopes to be used on the trip.